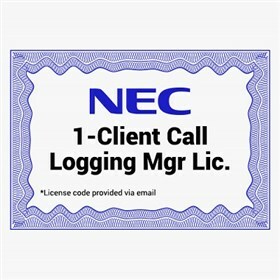 The NEC 1101119 is a Digital Call Logging Manager License. A supervisor can manage all recorded calls with the License. This license can be used with both the new IP Call Logging Unit (p/n 780324) and the previously released Digital Call Logging Unit (p/n 780275). Each supervisor location requires this license. The NEC 1101119 has many exciting features for users of all types. The NEC 1101119 is sold as a Brand New Unopened Item.